Okay but the rest of the issues is missing ? . Most of them are indeed missing. It seems that 36 issues were published, but we only have 5 listed. Okay , than i wil upload the scans of the magazines that are missing . Can you confirm the issue number for the July/August edition? It would seem that this was issue 3/4? Issue 2 was dated May/June, while the Sept/Oct edition is issue 5. That leaves two issues (3 & 4) in between. But the issue in between is dated July/August... So I guess this must have been a double issue? Hmm ok, so it actually says it is issue 3 on the inside? I am asking because the 1985 September/October issue says it is issue 5 on the cover. So what happened to issue 4? I actually thought I was missing a magazine. It's a bit confusing, as the first 3 real magazines do not have numbers. The first one with a number is issue 5. So I thought I was missing issue 4 and thought the first three were issues 1-3: maart/april (1), mei/juni (2), juli/augustus (3). 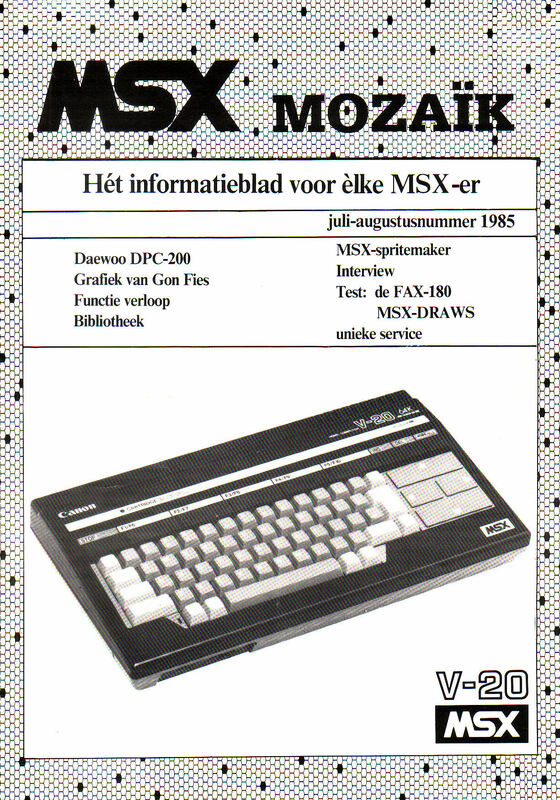 But then there appeared that real first issue inside MSX-Info. So that was the actual number 1! That means I have all issues complete and the list of Junior above is the right list. 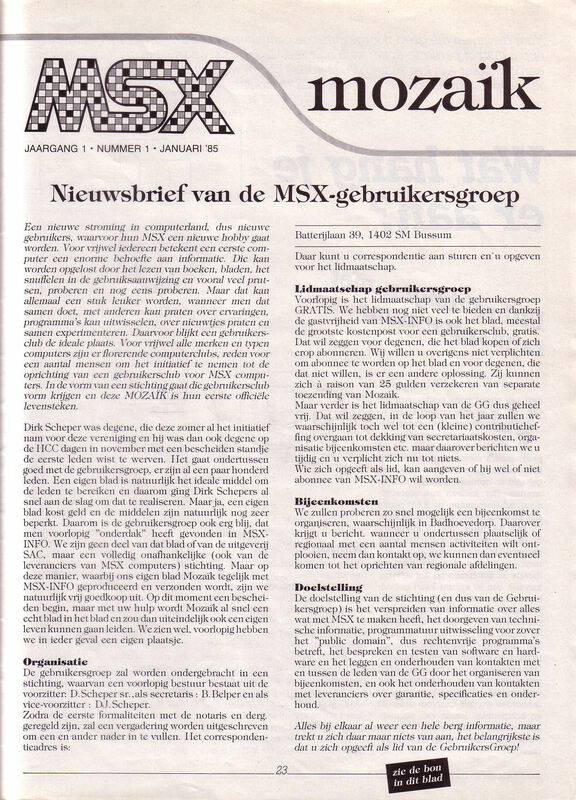 rderooy, can you also put that on MRC Wiki? Thanks guys, that explains it! Edited 1 time(s). Last edit at 08/18/2017 01:26AM by Manuel.